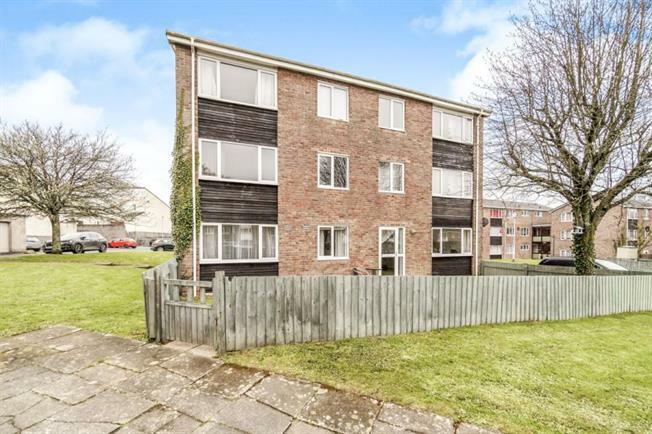 3 Bedroom Ground Floor Flat For Sale in Plymouth for Guide Price £120,000. Guide of 120,000 to 125,000. A spacious and superbly presented ground floor flat which is situated in the popular and sought after village of Tamerton Foliot with its many facilities and wonderful surrounding countryside. This property would suit either first home buyers or is ideal for retirement as being situated on the ground floor and having level access. Benefitting from gas central heating and uPVC double glazing with three well proportioned bedrooms, a spacious living room diner, modern fitted kitchen breakfast and bathroom. Outside the property boasts its own enclosed garden and an allocated parking space. Viewing is highly recommended to appreciate. Double glazed window and door leading to the garden. Radiator and feature fireplace. Modern fitted with ample base and wall units. Fitted worktops and breakfast bar with tiled splashbacks. Integrated oven, hob and extractor, Plumbing and space for a washing machine and space for fridge freezer. Double bedroom with radiator and double glazed window facing the front. Double bedroom with radiator, double gazed window facing the rear and fitted wardrobe. Single bedroom with radiator and double glazed window facing the front. Fitted with a modern white suite including a panelled bath with shower over and fitted screen and wash hand basin. Part tiled walls and a heated towel rail. An enclosed garden mainly laid to lawn with a patio seating area. Allocated parking space.